Powerskin Carbon-Flex Stiff, strong and durable Carbon fibres combined with high-stretch fabric “lock out” when a critical stretch level is reached. This maximizes compression on over-extended zones, increasing support and control, when and where it’s needed. Strategic placement of low profile bonded seams and elasticized tapes is designed to store potential energy, which is released during dives, kicks and turns to maximize efficiency, power, and speed. Powerskin Carbon-Air combines innovative design, breakthrough technology and an ultra lightweight fabric. 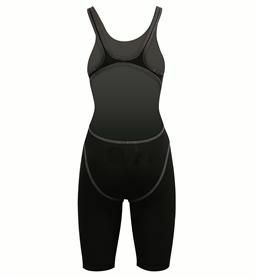 The result is a racing suit with our trademark intelligent compression and unbeatable comfort. Powerskin Carbon Pro ON SALE no extra discount-Intelligent Muscle Compression in a suit that can withstand more handling and stretch with reduced chance of tear when putting on. Powerskin R-EVO- ON SALE no extra discount Improved patterns for better drag reduction. Excellent Compression. Low Profile Bonded Seams. Powerskin ST-Durability in Chlorinated Water. Excellent Compression. Top Performing Super Smooth Fabric. Sizing: Purchase the same size you wear in a tight "normal" suit. Purchase an arena team suit from SWIMshop in the last year? Call us or leave a note on your check out screen to receive at least a 20% discount on your Powerskin.